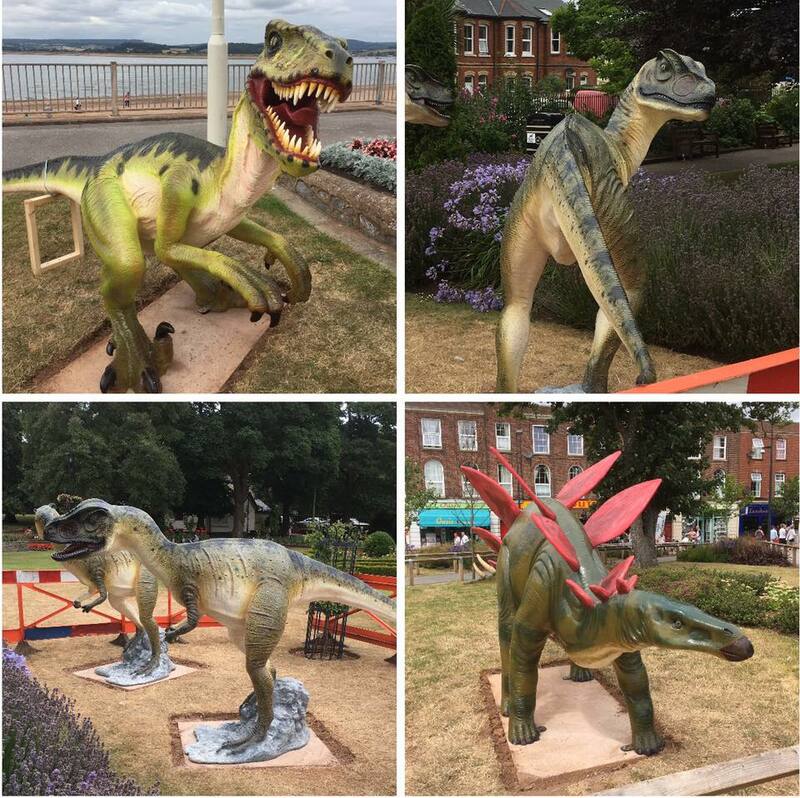 Exmouth’s hotly anticipated Dinosaur Trail, Jurassic Safari is taking shape and you will soon be forgiven for thinking a time-space anomaly has occurred, catapulting Exmouth back millions of years to a land that time forgot. Exmouth Town Team in partnership with Exmouth Town Council, EDDC, Jurassic Coast Team and local businesses and schools are delighted to announce that dinosaurs are soon to appear as a major feature throughout the town and along the seafront to promote Exmouth as Gateway to the Jurassic Coast, World Heritage Site. 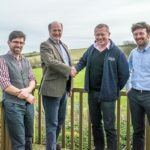 Local businesses and schools who have adopted them are very excited at the prospect of seeing these life-size models installed along a fascinating and educational trail for all to explore. The Jurassic Coast Team in Dorset have contributed much to this super project, including detailing the story of the Jurassic Coast and fossil finds as you follow the trail. Not all the dinosaurs on our trail have been found locally of course. Some are global superstars which we have added just for fun! 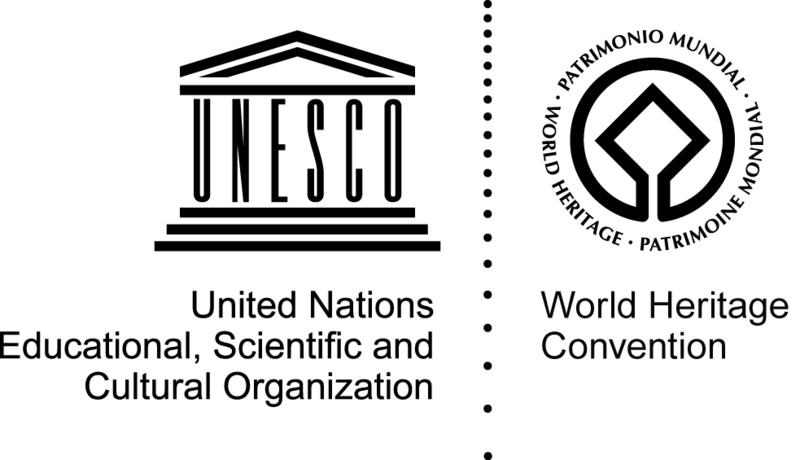 Soon you will be able to follow the trail and find the evidence pointing to which of our sponsored dinosaurs or their relatives actually lived here and discover some amazing information about Exmouth as Gateway to the Jurassic Coast, World Heritage Site. It is anticipated that all the dinosaurs will have been wrestled into place over the next few weeks and we are busy planning a launch event for Saturday 20th August, 11.00am – 6.00pm, Strand with speakers including ITV’s Palaeontologist Dean Lomax, Jurassic Coast Ambassadors, Science Dome with 3D dinosaur films, fossil displays, fossil identification and much more. This eye catching project came from the visionary Exmouth Town Team and is supported by our wonderful sponsors including Bassett’s Farm County Primary School, Brixington Primary Academy, St Joseph’s Catholic Primary School, Dolphin Pre-school & Nursery, Sunshine Pre- school, Cockman’s Builders, Market Carpets, AJ’s Taxis, Manor Cottage pub, World of Country Life, Ladram Bay, Exmouth Photo Studio, Indoor Market, LED- Ocean, EDDC, Grove pub and we are hugely grateful to them. Keep an eye on local and national media for important updates.